The Charlotte Hornets (8-19) overcame what has been a tough two-week stretch to take advantage of a favorable weekend slate against the Philadelphia 76ers and the Utah Jazz. 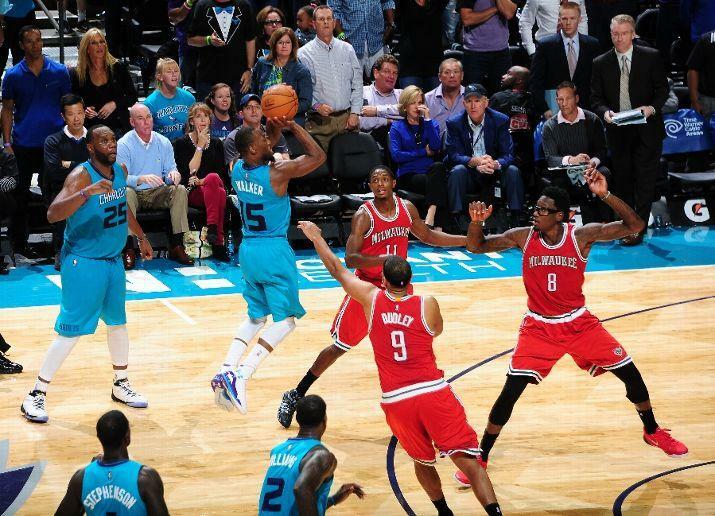 The Hornets had a rough start to the week, traveling to Cleveland and falling behind 21-0 in the opening period. Charlotte battled back enough to make the game respectable, eventually falling to the Cavs, 88-97, behind big performances by LeBron James (27 points, 14 assists) and Kevin Love (22 points, 19 rebounds). Two nights later, the Hornets returned to the Hive to face off against the Phoenix Suns, who were currently mired in a slump of their own. Despite a great game from Al Jefferson (28 points, 10 rebounds), the Suns handed Charlotte their fourth loss in a row, 106-111. Then, the Hornets faced two opponents that may have been just what the doctor ordered for a team struggling to find its identity. The Sixers came to town and the Hornets jumped all over them, putting on what may have been their most complete performance of the season so far in a 109-91 victory in Philly. 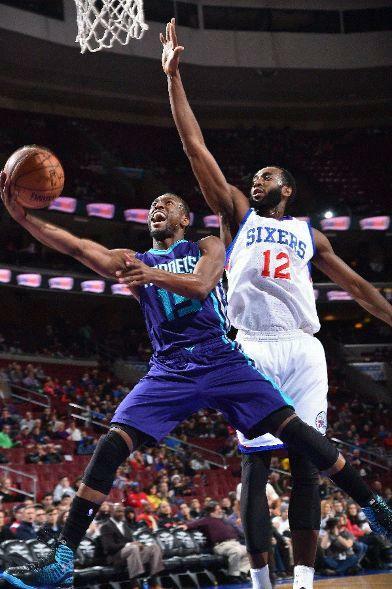 Kemba Walker exploded for 30 points and Big Al put together another strong performance with 20 points and 12 rebounds. Granted, the Sixers are playing some of the worst, most aimless basketball I’ve ever seen, but a win is a win, and it was nice to watch the Hornets string together four consistently productive quarters in a row for a change. So what can we take out of last week’s action? We’ll get the elephant in the room out of the way first. There had been rumblings that the Hornets were shopping newly signed free agent Lance Stephenson because he hasn’t quite fit in on the team as expected. Then word comes out that the Hornets are content with “keeping him for now” because they didn’t receive any viable offers from other teams (word has it that Indiana and Miami were two of the teams interested). Then Stephenson aggravates a groin injury that had plagued him at the beginning of the season, and Coach Clifford tells us that Lance will be out until after Christmas. And now the Hornets go 2-0 without him in the lineup with veteran guard Gerald Henderson starting in his place. Now as I said earlier, its not like we just beat two incredibly strong teams over the weekend, but the Hornets, minus the ball-stopping and negative body language, put together two of their most solid performances of the year without him in the lineup. So what does that mean? Is this a better, more cohesive team without Stephenson in the lineup? That could be the case, but its not like the mercurial guard has done anything to inflate his trade value this season. He has rebounded well, at times has found the open man for an assist and he’s even banked in a game winner for Charlotte, but his attitude may not mesh well with a young team looking for an identity. What the Hornets do with him moving forward is anyone’s guess; it will be interesting to see how the team fares this week as he continues to be sidelined. Now lets talk about Henderson for a minute. While Hendo is no world beater, he is a hard working co-captain of the team that has taken on whatever role his team has asked of him. He plays within the teams defensive system and has averaged 14 points, two rebounds and four assists per game over the weekend. While his consistency has been maddening at times over his career, he has grown as a player and provides a veteran presence for the Hornets when they’ve needed it. If the Hornets do hang on to Stephenson, would he be better coming off the bench as a spark plug for the second unit since Hendo seems to fit in well with the starters? Only time and Clifford’s rotations will tell. The return of MKG to the lineup has certainly been a welcomed addition, and clearly the Hornets have missed his defensive intensity. While he is still working his way back from a foot injury that sidelined him for 12 games, he has provided much needed energy for as team that was severely lacking in that department during his absence, and the team will certainly play much better with MKG available. The Hornets have four games coming up over Christmas week, with only one of them coming against a very formidable opponent, OKC. On Monday, the Hornets face off against the Denver Nuggets at the Hive. While the Nuggs haven’t been great this season, they still roll out a lineup that includes “Manimal” Kenneth Faired and guards Aaron Afflalo and Ty Lawson. Denver is fourth in the NBA in rebounding and can still score at a respectable rate, but their defense is suspect, ranking in the bottom of the league in points allowed. Next up, the Hornets will travel to Milwaukee for a rematch with the Bucks, who lost the season opener to Charlotte in overtime. Milwaukee has played well as of late despite not being particularly good at anything besides moving the ball well. They currently sit at .500 but also lost rookie phenom Jabari Parker for the year with a torn ACL. This team plays well without the benefit of having any superstars, getting contributions from players such as Brandon Knight, Kris Middleton and Larry Sanders. 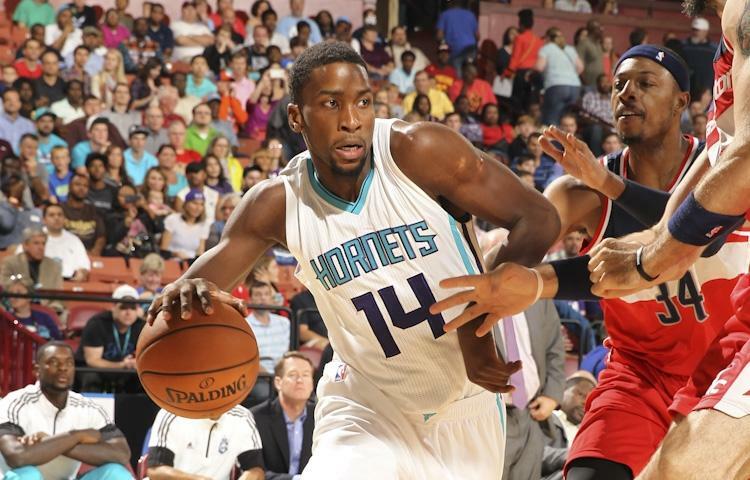 The Hornets then will face an Oklahoma City team that’s coming off a full slate of games during the Christmas week. Charlotte has always had their hands full with OKC and this matchup will undoubtedly be no different. Early season injuries had the Thunder stumbling out of the starting blocks but OKC has been on a roll since getting their stars Russell Westbrook and Kevin Durant back in the lineup, although the latter has recently suffered a mild ankle sprain and whether or not he suits up against the Hornets remains to be seen, as they will be coming off a Christmas Day matchup against the Spurs. The Thunder are a top five rebounding team and they currently sit atop the league in points allowed per game; this will no doubt make for a very tough matchup. On Saturday, Tobias Harris and a young Orlando Magic squad comes to town to face off against the Hornets. Orlando sits near the bottom of the league in nearly every offensive category but they do manage to play a middle of the pack style of defense. The Hornets lost the first meeting between these two teams, 100-105, due to a huge game from Harris, but the team was without defensive stopper MKG, who will be available to help stymie Harris this time around. Three of these matchups are very winnable games for the Hornets and, hopefully, they will be able to take this weekends wins and capitalize on their momentum to come out of the week looking better than when they went in. Heck, who knows, maybe we even get a belated Christmas present with a win over OKC. Hopefully all you Hornets fans have a great Christmas holiday, don’t ever forget the reason for the season and enjoy the company of those around you. That’s all for now Hornets fans, until next time, HAPPY HOLIDAYS and KEEP BUZZING!